Remember “we are all in it together”? This was the British Prime Minister’s arrogant claim in 2010 that people like him were suffering as much as the working class from the crisis. It appears he has now got a new version. When he got up in the House of Commons this month to justify why his father had set up a shell company, Blairmore Holdings to avoid paying inheritance tax, his main argument was that “everyone’s doing it” – even though most of them don’t know it. Listing all the financial vehicles using offshore accounts he finally pointed to employee pensions funds and (to Tory titters) trade union pensions funds (for their officials, it has to be said, not their members). So that’s alright then. Except there is a difference. Most of those he sought to hide behind don’t, or rather did not, know what goes on in the realms of global finance. He does. He and the rest of the capitalist class not only know the rules of the game they even have the power to alter those rules to suit themselves. In fact, so much so, that his Government has been blocking EU Commission plans for a blacklist of tax havens (half of which are in British Overseas Dependencies) for six years. In 2013 Cameron personally wrote to van Rompuy (then President of the European Council) to ask him to exclude the sort of trust his father set up from any legislation. But Cameron is not the only leader caught up in the Panama Papers revelations. The revelations come from 11.5 million documents leaked to a South German newspaper who distributed them around over 400 investigative journalists for analysis. They found that 72 former or current world leaders have used offshore accounts not just for good old “honest” tax evasion but also for money laundering and bribery. So far the only one forced to resign has been the Icelandic Prime Minister. 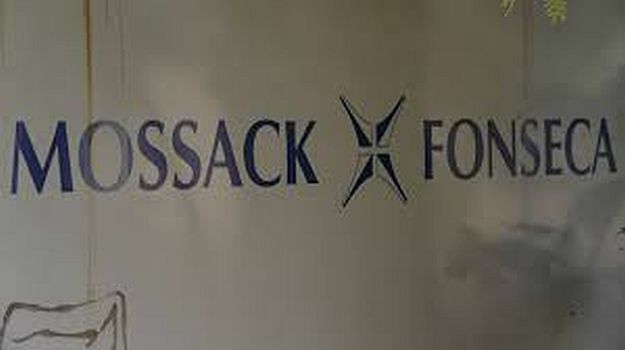 And these are only the papers leaked from the offices of one Panamanian law firm (Mossack Fonseca). It is only the tip of the iceberg. The Luxleaks in 2014 revealed that no big multinational company paid anything other than a pittance in taxes in Europe as their headquarters were in Luxemburg. One of the most well-known cases is that of Vodafone. It avoided tax of £6 billion in the UK as its profits were registered with a subsidiary in Luxemburg. When the UK Government finally cornered them Vodafone offered to pay £1.2 bn over 5 years and this was accepted as a “good cash settlement”. Apparently this was due to fatigue on the part of HMCR (the tax bureaucracy) as they are fighting nearly 200 other cases against companies that can marshal armies of lawyers to delay payment. It’s another case of if you are a big capitalist concern you are beyond the laws designed for mere citizens. Although, as Cameron hastened to tell us, there is nothing illegal in setting up an ‘offshore’ account for a company or trust as long as the directors are not ‘resident’ in the country where taxes should be paid. The company pays local taxes but these are minimal or non-existent. No surprise then to find that $7.6 trillion or 8% of all the world’s financial assets are held in offshore funds. All British property deals over £180 million in value have ended up in the accounts of offshore companies since 2010. But if you want further evidence that the modern capitalist state is at the beck and all of the capitalists have a look at the US. In the post-war boom US companies paid an effective tax rate of 40-45% of profits. But with the crisis brought about by the falling rate of profit the state began to lessen their tax burden in order to boost their profits. By the 1990s the effective tax rate for US top corporations had fallen to 30-35% and has been falling ever since. In the US firms that survive on Federal Government contracts (paid for by taxation of the entire population) then go park a chunk of the profits from those contracts in offshore funds. The 60 top US companies shift 40% of their profits this way. Even if they shut all the offshore accounts it would not drastically alter the problem. Those accounts exist because governments allow them to exist and have, until the latest Panama Scandal, ignored them as just part of the system. The only reasons we are getting calls for reform and closing the tax loopholes are because the whole world now knows (if it did not before) that the system operates only for the profitability of the few. It is the same few who control the planet’s destiny. Even without tax havens the world’s governments (of all shades of opinion) will still be competing for inward financial investment by cutting taxes for the big firms. And the UK is heading the pack once again. Osborne has already announced corporation tax of just 17%, the lowest in the G7. It is not just offshore companies that want shutting down. It is the entire capitalist system.